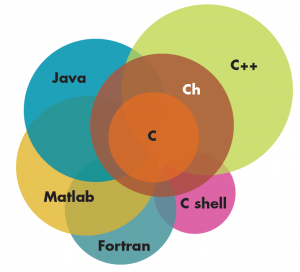 SoftIntegration offers free Ch Professional Edition for Raspberry Pi and free Student Edition. 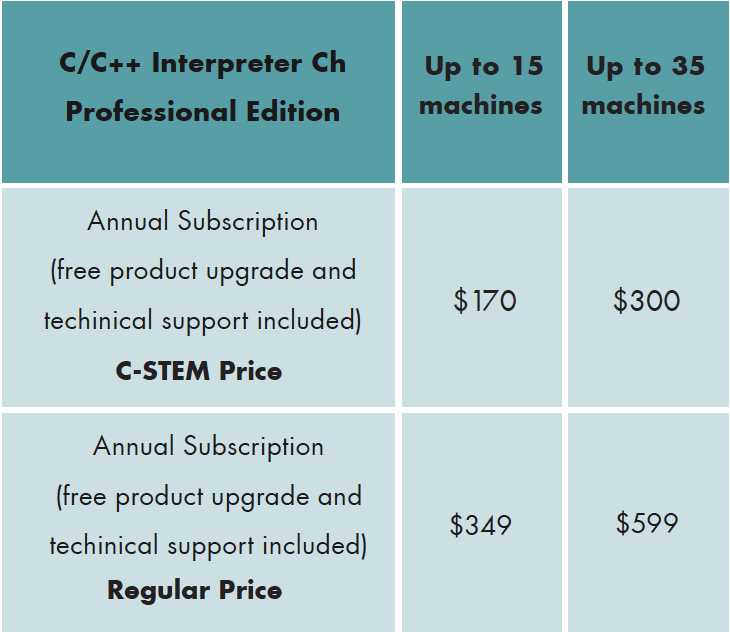 C-STEM schools will receive 50% discount for Ch Professional. All Ch Professional licenses for C-STEM Schools will expire on September 30th and all new licenses will begin on October 1st. Schools/districts will not be able to purchase a professional license for any amount of time less than 1 year. Schools/districts purchasing after August 1st will purchase the rest of the academic year at a pro-rated price plus the following academic year. For example, if a school wants to purchase a license in December they will need to purchase one for 22 months, 10 months pro-rated from December to September and another 12 months for the following year.